With smartwatches getting funkier day by day, LG joined the bandwagon by releasing their version, the LG Watch Urbane. 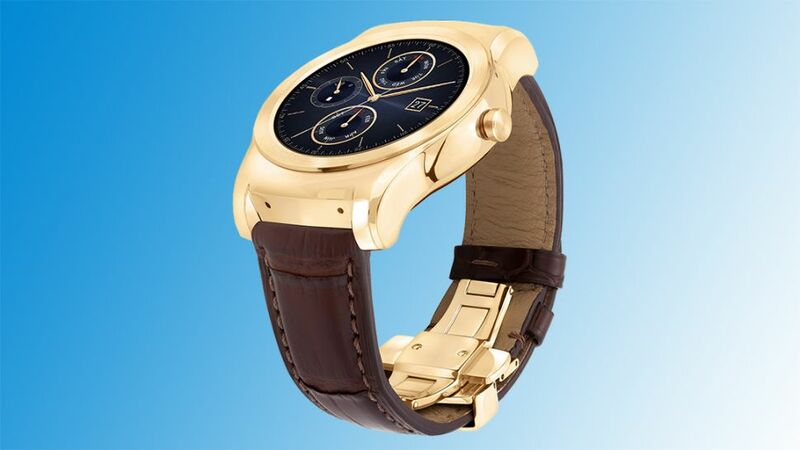 To make it even more attractive and ‘expensive’, the smartwatch now comes wrapped in 23-karat Gold. The new watch, Lg Watch Urbane Luxe, not only has 23 karat gold wrapped around it but also features an alligator leather strap and comes boxed in paino-gloss lacuqer case. Since this watch seesm to be made especially for the Elites, it carries a price tag of $1200. For an android smartwatch, this is indeed very expensive but is still way cheaper when compared to the $10,000 base price for the 18-karat gold Apple Watch. According to Chris Yie, LG Vice President and Head of Marketing Communications, the new watch, Urbane Luxe is the ‘natural evolution of smartwatches’ as they are quickly becoming lifestyle accessories. The limited edition watch will only be available in the US initially with only 500 being produced.